In other news, feeling a little better. This is 24 by 36 acrylic painting on stretched canvas. I've painted the rover a few times before in a smaller size. A little light glare; I'll try to take better photos tomorrow. Chad is currently engaged in a Kickstarter project which he calls 500 Painting Summer. His goal is to paint 500 paintings and to seed the majority of them in public places around the State of Nebraska for people to discover, procure, puzzle over. Very much like the internet but without the screen and possibly actual cats. I've been home for two days now and slowly recovering. No pancakes for quite some time. Doctors orders. This is the auction of a painting entrusted to me by His Holiness Pope Benedict XVI, who, much influenced by the reflective canvas stylings of President George Bush II, decided to immediately embark upon the pleasures of his imminent abdication, and therefore in his weakness endured to put brush to canvas, capturing here a permanent acknowledgement of his humility but in the process of being cleansed of all impurity. Revenue raised from this auction will go to the Pope's private kitty to purchase canvas and paint for future artistic endeavors and also for arthritis medication and perhaps cat toys or to get his piano tuned. 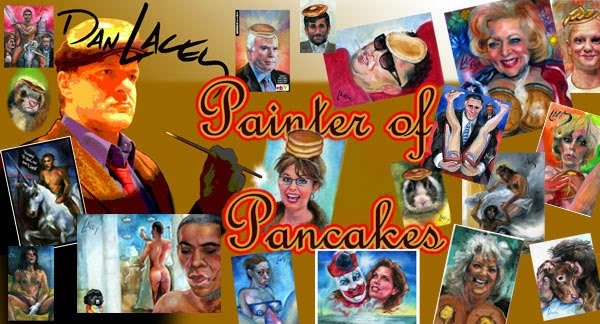 Thanks today to The Huffington Post for their Dan Lacey 'Pancake Painter' Explains Bizarre Obama Paintings And Conservative Roots. Happy National Pancake Day. 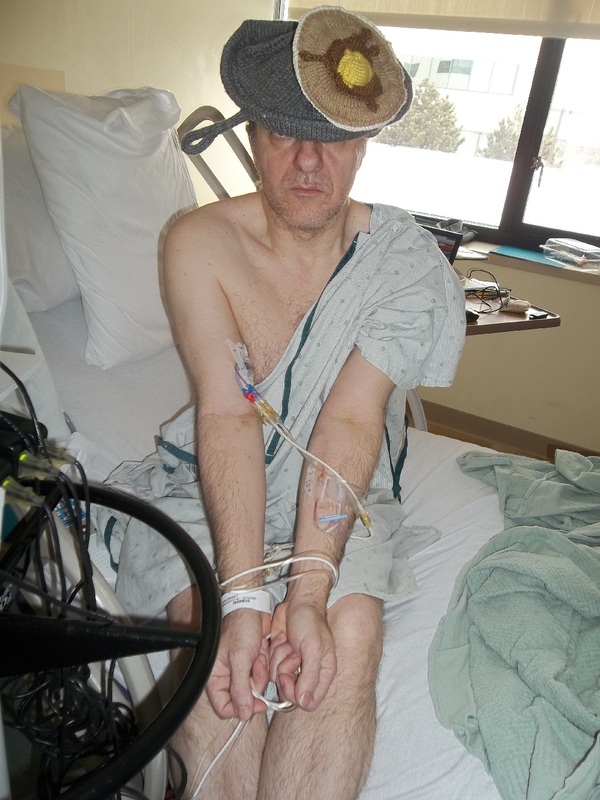 For me, this is the fifth day in the hospital, and more than a week without a pancake.